Parent and Student Satisfaction Surveys closed – THANK YOU! Sincere thanks to all parents and students who completed the 2016 ISD Parent and Student Satisfaction Surveys. Thanks also to ISD Technology director John Wishart, ISD administration and all teachers who ensured the successful conduct of the surveys. The surveys provide us with constructive feedback on school issues and gather parent and student input for board/director goals for the coming school year. Survey findings will be shared at the Annual General Meeting (AGM) on Thursday 21 April. Again, thank you for your participation and feedback. It is sincerely appreciated. At the last meeting of the ISD Board of Trustees on Thursday 10 March, the Board Policy committee, on the recommendation of ISD administration, presented the policy proposals below to the Board for first reading. Following review, discussion and recommendations for changes in wording, the Board moved to approve the first reading of the policy proposals. At its regular meeting in April, the Board will review the policies for a second reading and vote on their adoption. Both policy proposals are presented below for comment from the ISD community. The proposed amendment is to clarify current policy on tuition refunds (in the event of student withdrawals) by providing for a refund schedule based on specific dates. Please click HERE to view the policy amendment proposal. Please click HERE to view the policy proposal. 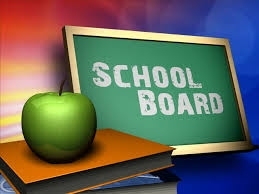 Please contact the Board of Trustees with any comments or questions on the two policy proposals at boardbox@isd.sn. Thank you.